HELPING College students FIND AND FOLLOW JESUS. The City of Boston has more than 250,000 college students. That's approximately 1/3 of Boston's population, not to mention the number of universities and students in the Greater Boston area. Some of the future’s most influential people in the world come to study in our backyard, and so it is a tremendous opportunity to influence the world for Christ. Unlike the workplace, where faith conversations might be taboo or considered inappropriate, the university setting encourages dialogue and conversation, allowing for rich discussion and sharing of the gospel. As a result, CoaH College is committed to spreading the gospel on college campuses as we seek to help our friends and neighbors find and follow Jesus. Partnering with campus ministries to make, mature, and multiply followers of Jesus. City On A Hill recognizes that in order for us to effectively reach the college campus with the gospel, it is imperative that we collaborate with evangelical parachurch ministries that are uniquely positioned to reach students on campus as official student-run organizations. We are currently partnered with InterVarsity Christian Fellowship/USA and Cru Boston. Our church encourages both participation in our local church and the mission to students on campus. We also encourage our non-students to support and serve in campus ministry in a multitude of ways, including the giving of resources, time, and funds to support the mission on campus. City on a Hill believes that God designed us to live our lives together in community for the sake of the gospel and to accomplish His mission. Whether you are a mature believer in Jesus or you are simply learning more about the Christian faith, it is our hope that you will join us on a Sunday morning to hear more about what we believe. Come to either our 9AM or 11AM services at Lincoln School (38 Hedge Rd, Brookline, MA 02445) and learn more about who we are by clicking here. We look forward to seeing you this Sunday! City on a Hill's Community Groups are more than just once-a-week gatherings of smaller groups of people; they are communities that participate in the rhythms of life together throughout the city! And our College Community Groups are the way we live out the Christian life practically at City on a Hill. Our goal is to constantly remind one another of the good news of Jesus Christ and how that applies to each day as well as declare and display the gospel to our unbelieving friends and neighbors. Join a Community Group! How do I choose a group? We always recommend that you try to find the group that meets closest to where you live. Below are our 3 College Community Groups! What if I don't attend Boston College or a University nearby? Not a problem! 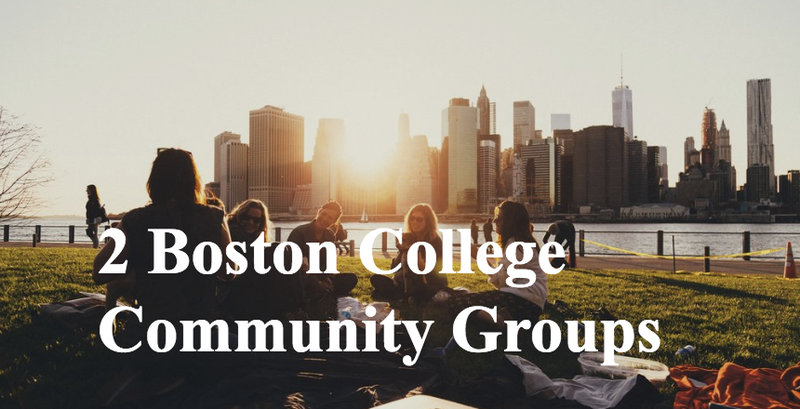 You are welcome to join the College Community Group closest to you or click here for a list of other City on a Hill Community Groups near you! For the month of September, after every Sunday 11am service we will gather for lunch to hang out, meet new faces and spend time in fellowship. Come hungry and bring your friends. We're paying! Each month CoaH will be hosting a college party for you and your friends! This is a great time to hangout and meet other college students connected with CoaH. Our first college party will be held at the home of our College Director on Saturday, September 22 at 6pm for a cook-out and a corn-hole tournament. Come and enjoy free food and games and be sure to invite your friends! Email Aaron, for more information! This October our college ministry will come together for a night of worship and praise to Jesus. It’s a time to come together under one roof to sing, pray and hear an encouraging message from one of our pastors. These evenings are just one more way for us to live out gospel-centered worship and celebrate what the Lord has done and is doing in our lives and in our church. Trust us, you don't want to miss out! 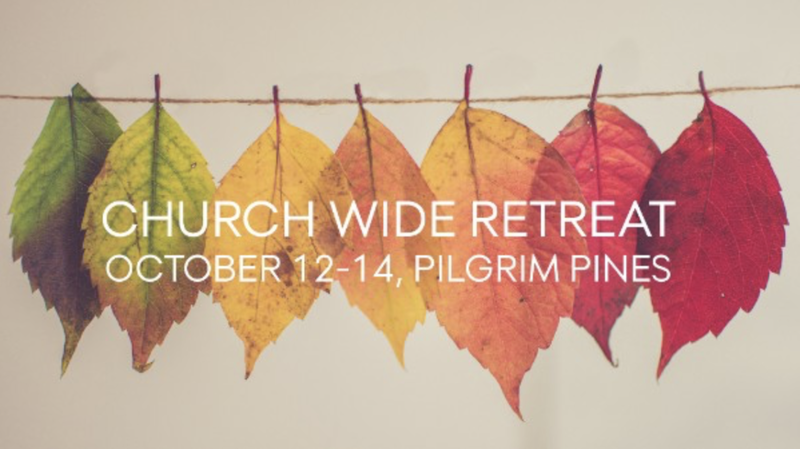 Join City on a Hill at our church-wide retreat to Pilgrim Pines Camp in New Hampshire October 12-14. Are you looking to get plugged into the life of the church? This retreat is a designated time for those involved at City on a Hill to get to know one another and to dive deeper within their faith. The early bird price is $110 per person through September 3 (regular price per person is $120). RSVP today for the early bird price by clicking here. If you are interested in scholarship information please Email Aaron. We don't want money to be a hindrance. This retreat is well worth the investment. Invest in your personal walk with the Lord. Invest in your church family. You won't regret it! Passion is more than a conference... Passion exists to see a generation of 18-25 year olds leverage their lives for what matters most. To live in such a way that their journey on earth counts for what is most important in the end. 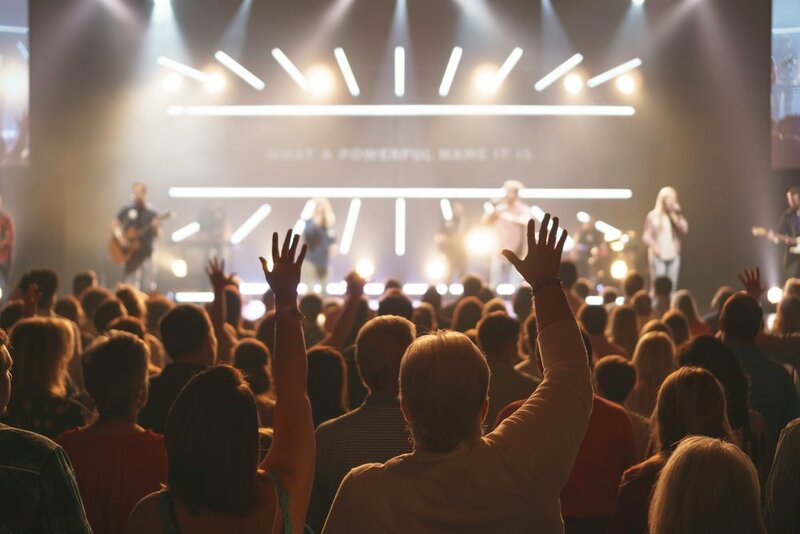 For us at Passion, that’s the fame of the One who rescues and restores, and the privilege we have to amplify the name of Jesus in everything we do. For full information about Passion 2019, visit passion2019.com. DETAILS: Cost covers conference ticket, hotel, meals and transportation (rental vans). Trip will be led by College Director Aaron Peters and other College Ministry Leaders. My wife, Emily, and I would love to connect with you! We'll be at every Sunday morning gathering and all The Fall 5 events. Also, if you're interested in meeting up for coffee or a meal please let me know and we'd love to schedule a time soon! We have a diverse church with people from all different stages of life! We'd love to meet you and get connected to CoaH College. Leave your contact information below and Aaron, our College Director, will reach out to you with more details on upcoming college gatherings!